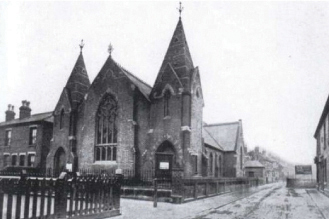 A derelict Methodist church with a school hall was purchased by a group of local theatre enthusiasts and visionaries in 1985, who then converted the existing buildings into a theatre and community arts centre. Devoted to providing arts for the local community, the Chatsworth Arts Centre has since become ‘home’ for an ever-increasing number of local arts-related and performing groups who share similar creative passions. Throughout its existence, the Centre has offered the wider community the opportunity to experience and appreciate the high standard of performing arts, as well as enjoy its unique facilities. 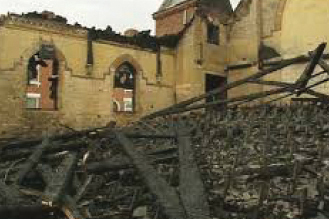 The tragic fire in 2003 which destroyed the original Duchess Theatre gave us the opportunity to create a new Theatre. In 2010 at a cost of around £250,000 a new fully equipped stage, dressing rooms and workspace was created, and a new foyer and toilets completed the design. A fully retractable seating unit with 180 seats provided comfortable seating for the audience, allowing the auditorium to be a multi-use area. The new Duchess Theatre opened in September 2010 with a specially written show, which saw 70 performers from eight local societies take to the stage to perform in a fantastic musical gala performance of ‘The Theatre Story.’ Since then, our theatre has continued to grow. This work was only possible by the dedication of many volunteers who carried out a tremendous amount of practical work, financial assistance by local businesses, Local and County Councils, well-wishers, public funding organizations, performing groups, anonymous donors, members of the local public, Rotary Clubs and the unstinting generosity of the Chatsworth membership. In 2017, work began on creating a new large lounge with coffee bar and bar, an extended foyer and improved comfort facilities. The glazed frontage of the lounge provides a superb backdrop to the new landscaping design which includes exterior seating for the public. The project was completed in March 2018. 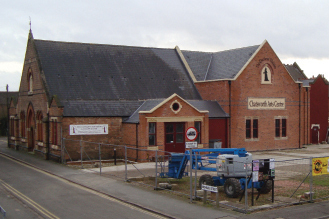 The officers of the Centre thank all and everyone, who in any way whatsoever, have contributed to these projects so that The Chatsworth Arts Centre continues to be the jewel in the crown of Erewash.